As you may have heard by now, second baseman Roberto Alomar was elected to the Baseball Hall of Fame on Wednesday, a deserving honor for a player who batted .300 with a .371 on-base percentage and played spectacular defense over 2,379 games in the Major Leagues. 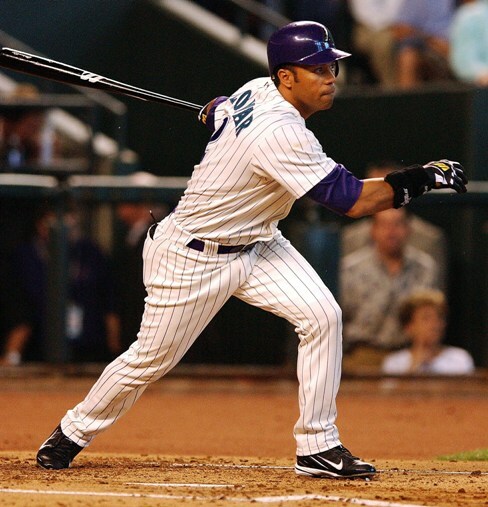 Alomar was also, notably for us Arizonans, the first Hall of Famer player to ever suit up and play for the D-backs. He played 38 games for the D-backs in 2004, his final year in the big leagues. I figured this would be a good opportunity to look at how former D-backs players have fared on ballots since 2004, the first year any former D-backs player would ever be eligible for Hall voting (Arizona began play in 1998, and a player must be retired for five seasons to be eligible). The number next to the player’s name is the total vote count for him and the percentage of possible votes he received. Any player over 75 percent is elected to the Hall of Fame, while anyone under five percent falls off the ballot. This is for D-backs players only, so it wouldn’t count former coach Robin Yount, who is a Hall of Famer, or current coach Alan Trammel, who is still on the ballot.